WASHINGTON — Imagine waking up to a text offering you cash in exchange for changes to your usual commute. It could be reality soon enough, thanks to a plan in the works for a wide-ranging Northern Virginia transportation database that would be analyzed in real-time using artificial intelligence. The $15 million stage of Northern Virginia Regional Multi-Modal Mobility Program is one of 13 projects recommended for state transportation innovation funding. It would include better collection and dissemination of commuter parking availability, a concerted effort to identify and fill gaps in transportation services, data tools to predict problems before they happen and provide solutions by encouraging people to carpool, take transit or detour to a different route or parking lot to alleviate congestion. A total of $7.5 million would go toward developing an artificial intelligence system focused on improving transportation management, as well as a related tool meant to provide people with incentives to change their travel patterns and avoid significant delays. “We’re also talking about creating a predictive engine, so we’ll look at historic trends combined with current information on crashes and weather, potentially special events that are occurring in the area, and predict what we believe will happen in the near future,” said Cathy McGhee, Virginia’s head of transportation innovation. Travelers who sign up would provide information to the state about their normal routes and times of travel. Changing routes or trip times for even just a few percent of people can lead to a significant swing in travel duration. The incentives could be used for typical rush hour delays, or for more unusual backups due to things like crashes or holiday getaways. The prediction model would help the Virginia Department of Transportation or other agencies stage response vehicles in the places problems are most likely to happen with the hope of clearing crashes more quickly. “It is a very new approach for us,” McGhee said. Virginia would build on a University of Maryland incentive tool to test the program. The incenTrip app offers people cash or other rewards for making changes to their usual trips while viewing recommendations for the best routes and times to travel. The commuter parking data upgrades that would be incorporated into the overall plan would focus on the Interstate 66, Va. Route 7 and Interstate 95 corridors in Northern Virginia. The $4.6 million part of the project would use historical trends and current parking data to predict where spaces will be available so that apps or individuals can factor that into trip planning. The information would be shared in other ways, with the goal of encouraging carpooling or transit use to move people faster by decreasing the number of people driving alone. Another $2.9 million portion of the overall program would look at where Metro, bus and other transportation services are available now, and the locations where people do not have the option to do much other than drive. “We have some gaps in service, and we recognize that,” McGhee said. Filling those gaps could include something like a new bus route or Virginia Railway Express stop, or something newer, such as bikeshare or scooters. Companies like Uber and Lyft could be informed that there may be opportunities to pick up people in specific areas. 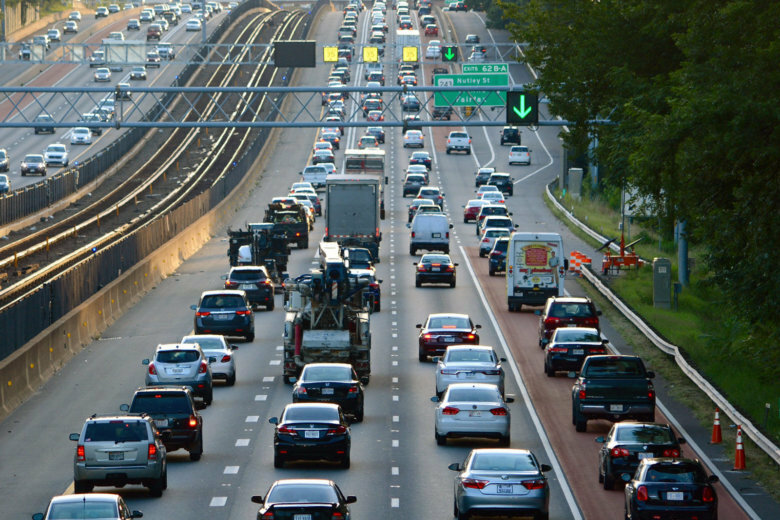 The Commonwealth Transportation Board is expected to vote in June on state funding for the program that would be led by the Northern Virginia Transportation Authority, as well as other projects meant to push the limits of technology today.